Prince Harry of Wales bears a resemblance to his uncle, Earl Spencer. In what sense do you consider the Princess to have been a hypocrite? Too extreme.There a many ways in Which I consider Diana to have been a hypocrite.ONE was spending th night with her doctor friend but making out ahe had been sitting with terminally patients and having the press at the door to se her depart !! 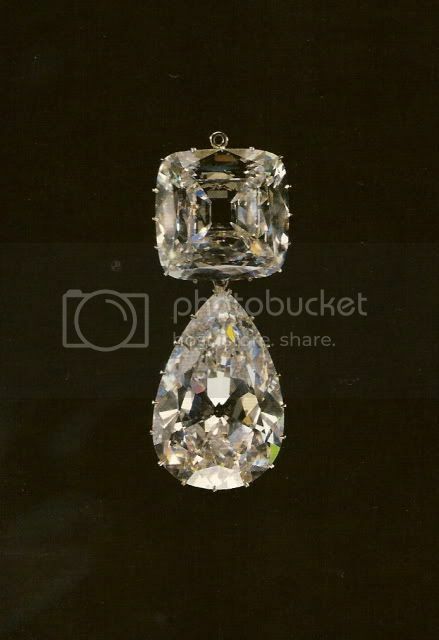 !.ANOTHER is going on about Charles's adultery and herself sleeping with INDEED STALKING married men!!!! nobody came out of the divorce smelling of dasies...NO ONE...AND Martyn I will not be drawn into any further argument with you on this subject as I know to you Diana is perfection...That is yr opinion which you are entitled to..but it also seems to be yr blindspot..
Good lord, I never knew that! Ashdean, your posts are always so informative! Thank you. There a many ways in Which I consider Diana to have been a hypocrite.ONE was spending th night with her doctor friend but making out ahe had been sitting with terminally patients and having the press at the door to see her depart !!!. Curious about your source.....is it from a Book? Tina Brown does discuss this in her book,'The Diana Chronicles'. I agree that this subterfuge was not to the Princess's credit and will happily agree with Ashdean that neither Charles nor Diana emerged from the divorce wholly as victim or villain. However I will take exception to your comments, Ashdean, about me and your judgement of my critical faculties. I asked the initial question in good faith as I wanted to understand your perceptions about the princess; thank you for supplying them. I am happy to have no further discussion about the Princess, or indeed any other topic, with you, as you wish. Oh, she looks beautiful in that one! Faith - in that picture her head looks tiny!! Looks like she has Microcephaly!! That portrait is very early, when she was still in her fairytale princess stage. Who painted that portrait, does anyone have info on it? I don't really like it, but it certainly shows off her early image to advantage, despite the head! The poor girl . . . she never knew what was coming ahead of her . . .
Martyn, I agree with you on all counts. 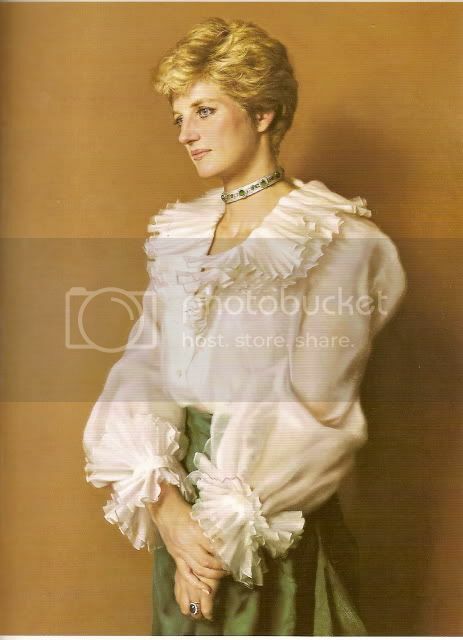 The portrait is lovely, and neither Diana nor Charles could be considered wholly victim or villain. The status quo system is, I think, the main culprit . . . as well as those who kept reinforcing it. Those of us who appreciated then and continued to appreciate the late Princess of Wales realize she was indeed guilty of her own problematic behaviors and actions, but that most (and possibly all) of these behaviors and actions wouldn't have occurred had the system she was up against had not been so unaccepting and unforgivable of anything but what she was expected to be, i.e. an attractive but voiceless royal brood mare who would put up and shut up. There's a line from the William Inge play "Picnic" that says, "You don't love someone because they're perfect." That, I think, could apply to Diana and the feelings that so many of us had and continue to have for her. Contrary to the many accusations made against those who've defended the late Princess of Wales, we did not believe her to "Saint Diana" . . . far from it. We saw her instead as a three-dimensional human being who was flawed, just as we are, and struggling to make some sense out of her life. The difference between her life and ours was one of elevation and scrutiny, and we understood and empathized with her because we knew that "there but for the grace of God go I." I agree Janet that it is possible to admire someone despite their flawed humanity; I suspect that the Princess would be a much less interesting person had she been without the flaws and failings that make her so human. What she achieved is yet more impressive in view of what she had to contend with - from the RF, from the Establishment and from her own personal failings and behaviour. She was neither saint nor sinner, victim nor villain, but she will be remembered by many as someone who made a difference. That's a geat line (by Inge) Janet. It sums up my philosophy towards many of the historical figures we discuss. I'm keenly aware of the flaws of many of my favorites and, while I'll defend them against things I think are false or over-stated, that's not the same as white-washing them. Sometimes I think that gets a little overlooked in some of our discussions. Being a fan of someone doesn't mean that you are blind to their faults or unwilling to criticize when justified. I would imagine that there are precious few of us who have never committed a bad or selfish gesture, told a lie, or said something cruel. I would hate to think that we would be judged by only the worst of our actions with what is probably (hopefully!) a much larger portion of our character made up of better qualities. I think that People loved Princess Diana and defend her because she was so young and vulnerable in the beginning of the Marriage! And tried so hard the first few years! She was also extremely warm and funny and very much a Humanitarian. I don't think it means they're unaware that we all have faults....and just IMHO...the ones that criticize and the ones that defend just mean that We get some rousing debate. I personally have had some good laughs...here and especially on the Camilla thread! Well said Marytn. I agree with you 100 percent. One of the things that was compelling about Diana was that she tried to break away from what Janet refers to as the status quo. She didn't settlle for becoming a silient brood mare. She let us see her, warts and all. And that is what the "Royals" could not allow. Diana never hid her humanity. That is one of the reasons I admired her so. Thank you so much for sharing the photos. They are beautiful.